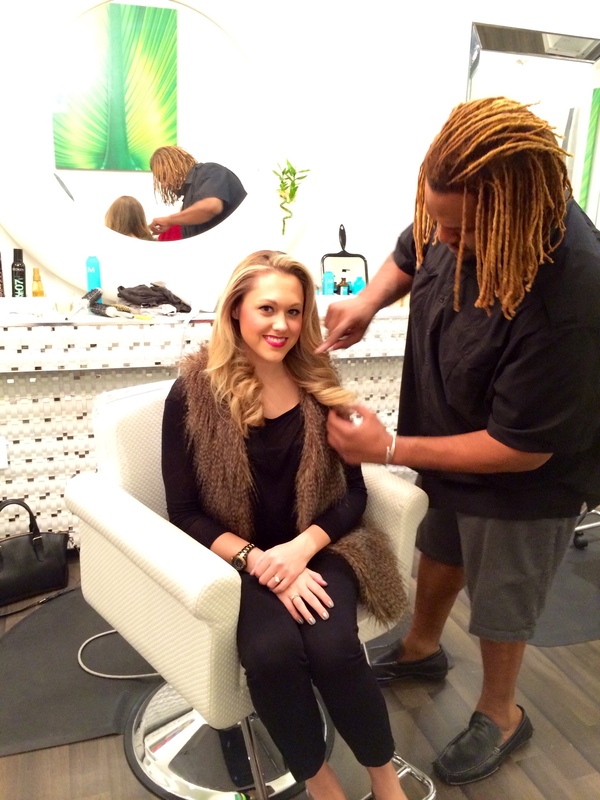 The Pricey Pauper Blog : Is there anything better than a professional blowout? Is there anything better than a professional blowout? I'm so excited to have finally found a blow-dry bar in Midtown Atlanta. I first went to Highland Blow Bar a couple of weeks ago before an important meeting and decided to go back before our Thanksgiving festivities started. They're actually running a deal right now, so if you're a new customer and leave a review on Yelp you'll get half off your next appointment, plus they're less expensive than the chains in the first place. It's a small but really trendy salon, and the stylist pictured is a trained Drybar artist. He really was incredible at his job and so sweet. My entourage (read: mom and sister) even walked down the street to bring him a coffee. I know it seems like such a luxury, but it really is worth it to have your hair styled for an event or even for traveling because a professional blowout lasts for days. I put the link to their website with online booking below. The faux fur vest pictured is Rachel Rachel Roy. I've had it for at least a couple of years, as most likely did the girl who owned it before me. I bought preowned on eBay. It's been well-loved and has held up through several fall/winter seasons now. The long-sleeved tee is from a site called Tobi. They regularly run sales that seem too good to be true until your order comes in, and always give new customers half off their entire first order. Use the link below for what appears to be a restock of the one pictured. You can get some awesome basics for less than $20.